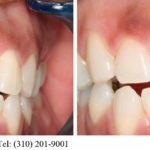 Dental Bridges | Smile Angels of Beverly Hills - Bruce Vafa DDS. Dental bridges are one of the most common ways to replace one or a few consecutive missing teeth. They restore the appearance and function of your smile and can help keep your smile healthy. 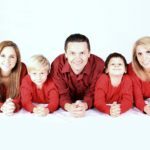 Our expert in dental bridges in Beverly Hills, in the heart of Los Angeles, can help you decide if dental bridges are right for you. If you are a candidate for dental bridges, our Beverly Hills dental bridges expert can support the bridge using either your own natural teeth or dental implants. 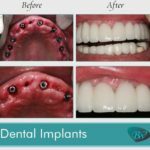 If implants are used, they will need to be placed and allowed to heal before the bridge can be placed. If your own teeth are used, they will need to be prepared to support the crowns. If these teeth have decay or damage, they may also benefit from a root canal treatment. Our expert in dental bridges in Beverly Hills, in the heart of Los Angeles, will begin by numbing the treatment area using a local anesthetic. Patients who feel nervous or anxious may also benefit from an additional sedative, which helps them feel calmer and more relaxed. Once the area is numbed, the abutment teeth, or the teeth that will be used to support the bridge, will be trimmed and shaped to fit the crowns. We will take dental impressions and place a temporary bridge, which protects the teeth until your final bridge is ready. Once your bridge has been created by the dental laboratory, we will check its fit and appearance. Dental porcelain closely resembles the enamel on your own teeth and can be tinted to match your smile exactly. A special dental cement will be used to bond the bridge to your abutment teeth. Bridges can last many years. Good dental hygiene is one of the most important factors when it comes to bridge longevity. Brush after meals, and use a floss threader to clean around the bridge and remove the plaque and debris that tends to accumulate above and around the bridge. Routine checkups with our Beverly Hills dental bridges expert are also a good way to protect your smile and keep your bridge intact. If you are missing one tooth or several teeth, we can help. Give us a call today to schedule your appointment with our Beverly Hills dentist.